South America is home to some of the most beautiful landscapes in the world, as well as some of the most intriguing and unique history. Ancient civilizations, tropical resorts and vibrant cities are just some of the things this continent has to offer to its visitors. There are too many things to see in South America to fit in one list, but we have compiled what we think are must see destinations for anyone planing a trip to this amazing continent. Without further ado, here are 15 must see places in South America. Salar de Uyuni, Bolivia – If you want to see something completely different, Salar de Uyuni in Bolivia is the place for you. 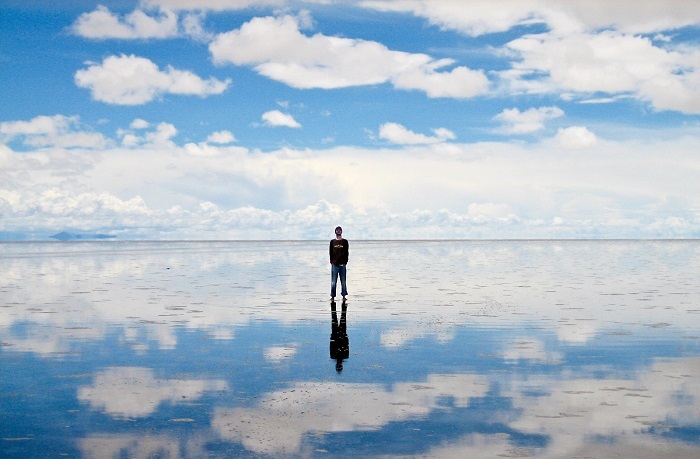 It’s the largest salt flat in the world and when you get there, you will be in awe. Whole plain is covered with salt, a landscape likes of which you will rarely get to see anywhere else in the world.